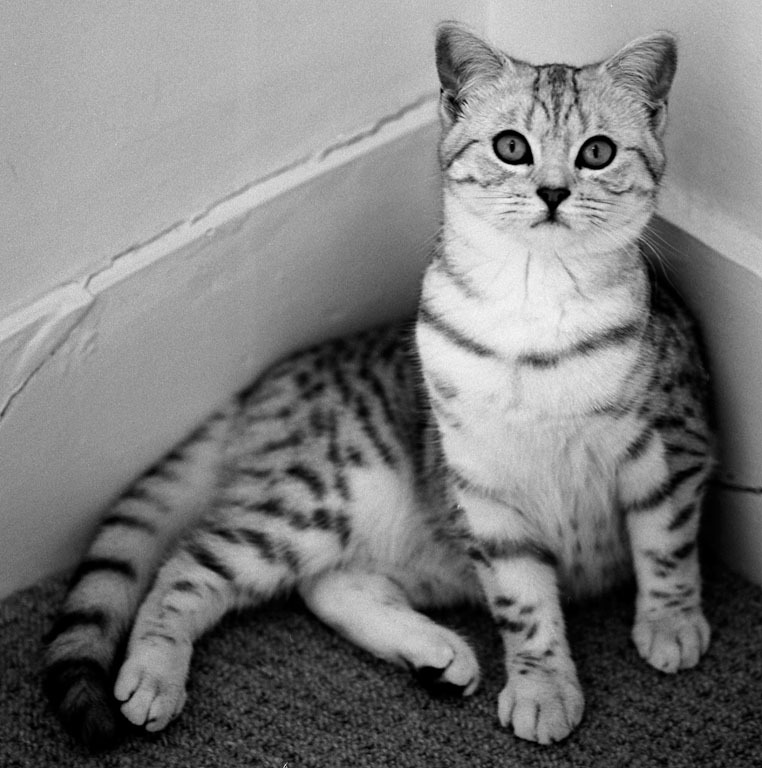 Tabby British Shorthair in Black and White. Nice picture taken with an old-fashioned camera using film. The film was HP5 a fast film (sensitive to light). The format was 6×6 cms (120 film format in old style photography). The photographer was R.I.Pienaar. See the original This cat has black eyeliner 🙂 And looks very female and cute. Quite young to by the look of it.